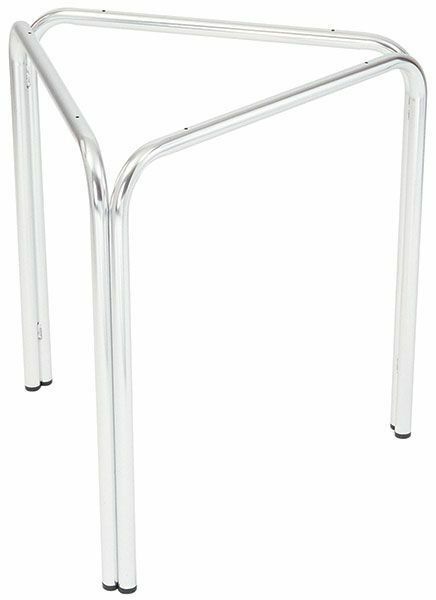 Simple three leg aluminium table frame available from stock and designed for use with table tops up to 800mm circular. Considered for outdoor use. An inexpensive aluminium café table base held in stock for a quick delivery and compatible with a number of café table tops. Please contact our sales team for further information on the Jolo 3 leg café table frame.